Marriage Values have changed over the years and it is often the “not knowing” that is the worst anxiety of a potentially unfaithful relationship. At Affordable Private Investigators the quality of our matrimonial investigations can remove any of that anxiety by providing you with irrefutable evidence to confront the problem. When conducting matrimonial investigations it is important that the private investigator is qualified and gets the facts right. Your future is at stake and no mistake can be made. In most cases changes start appearing in the relationship which arouse suspicion, it may be subtle, or at times major changes in behaviour that causes suspicion. You need to be sure if these changes are innocent or not. In some cases you will be sure your partner is being unfaithful or at best lying to you and you just need proof before you can confront them. If you do not know if they are being unfaithful it can cause deep stress in the relationship and you definitely have the right to know. If they are not, then you need proof in order to alleviate your uncertainty and concern. Once you have that proof it will only be a matter of confronting your partner or getting on with your life. If you are experiencing any of the above contact us for details on how we can help you obtain peace of mind. Our professional team of private investigators will assist you with obtaining the right result for your situation. At the conclusion of the investigation we will provide you with a DVD of the time our private investigator spent on the investigation so that you know we were on site, and in the event your suspicions were correct, the factual evidence you wanted on DVD. Catch a cheating spouse, catch a cheating partner, matrimonial investigations, matrimonial surveillance, partner investigations, video surveillance, surveillance of a partner, discreet surveillance, infidelity investigations, cheaters, cheating partner surveillance. 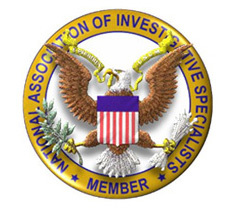 Please note, with the qualifications held by our investigators, we have the experience to conduct any type of Investigation.